I decided that I was going to try to join in with as many Peachy Keen Challenges as I keep purchasing their stamps but want to get the most use out of them. 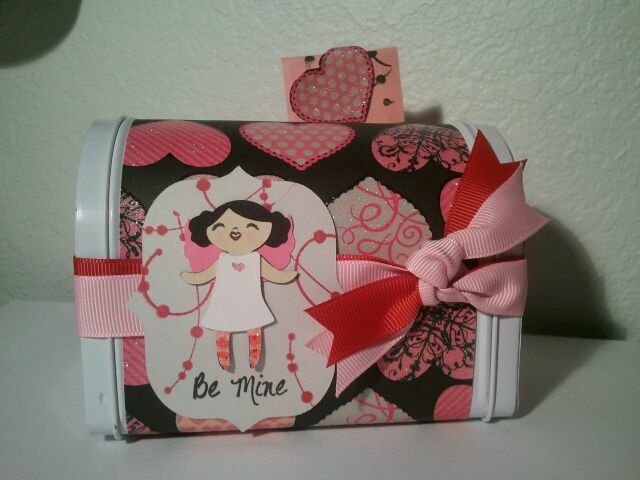 This LFIF Challenge was to create a container to collect your valentine's day cards in. Since I was at Target just last weekend, I decided to pick up the same mini-mailbox the design team used. I think it came out cute and simple :) PS....be sure to check back tomorrow for Scrappy Mom's Sneak Peak!!!!! Your mailbox is super sweet. I love the little princess girl! 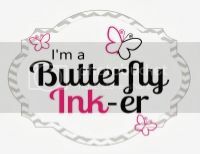 The papers are perfect and I love the double ribbon!! I'm so happy you're creating with us at PKS Faces!! Scrappy Mom's Sneak Peak #2!! !